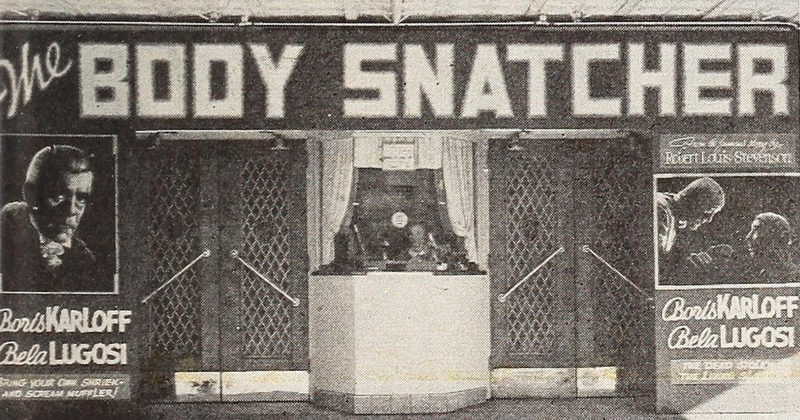 Produced and written by Val Lewton (as Carlos Keith), The Body Snatcher released by RKO on May 25, 1945. Directed by Robert Wise the film starred Boris Karloff as Cabman John Gray. 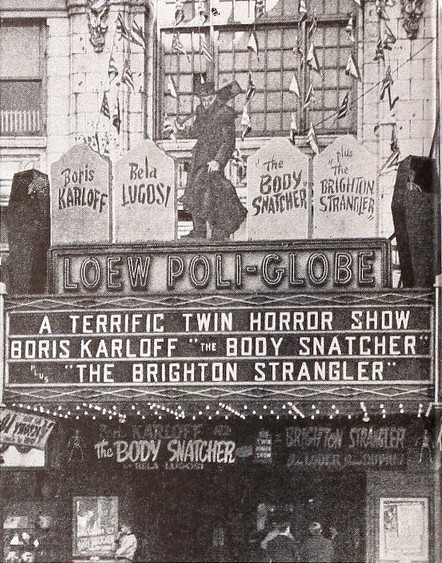 Bela Lugosi receives prominent billing on the marquee but his role in the movie was a minor one. 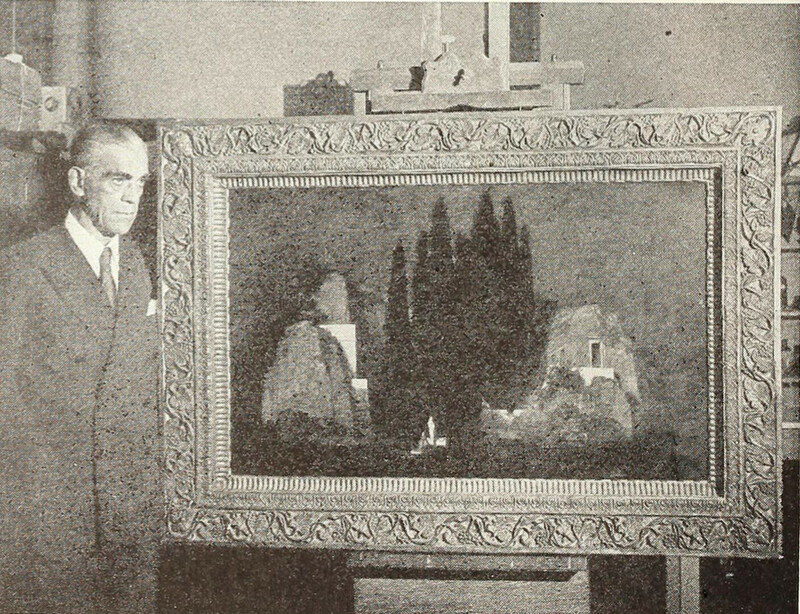 The promotion begins on the next Lewton film with Karloff. “Isle of the Dead” released September 1, 1945.